Like Hakkasan, Zuma’s birthplace is London. Zuma was founded by chef Rainer Becker in 2002 in the very posh Knightsbridge neighbourhood on 5 Raphael Street. Now Zuma has locations on almost every continent serving izakaya style Japanese dining, which means that dishes are brought continuously to the table throughout the meal. 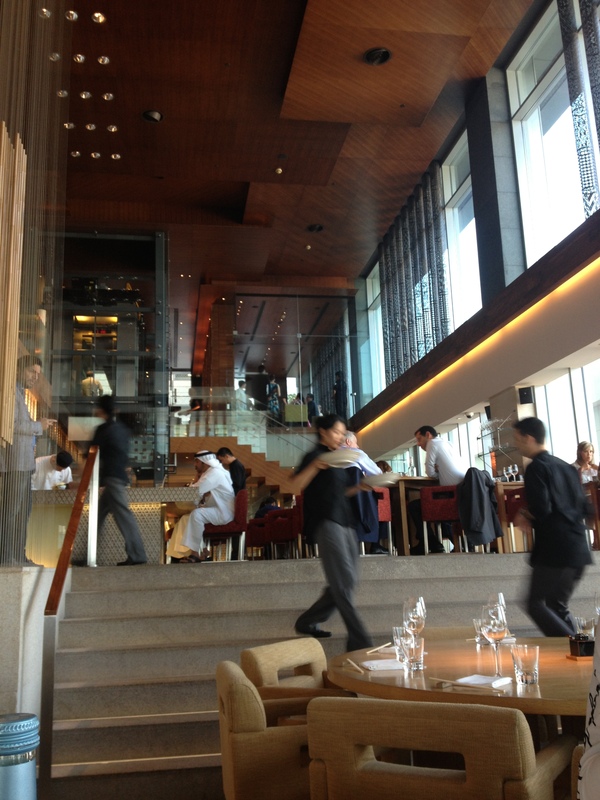 On our recent trip to Dubai, we had lunch at Zuma, located in Dubai’s international financial center. The restaurant is absolutely stunning with high-ceiling and sophisticated décor. At lunch time, the restaurant was packed with businessmen and fashionable girlfriends grabbing a bite to eat. We were intrigued when a huge commotion arouse as a group of men wearing the kandura, which is the typical clothing for men in Dubai, exited the restaurant. Upon asking, we were informed that all the bustle was due to the Emir of Dubai who had been having a business lunch right next to us. That was a perk to our meal and a surprise to see him out and about as I would have thought that he would lead a much more private life. Over the past years with Chinese all you can eat buffets popping up all over cities and towns, Chinese food has been downgraded and given a bad rep which is a shame since it is one of the oldest and richest cuisines. Chinese cuisine dates back to the 11th century BC and today the style varies greatly from one region to the next but nonetheless being as rich as it is, it is quite difficult to find high quality Chinese restaurants. I guess that is why I am such a fan of Hakkasan where not only is the decor fabulous, so is the food. As one friend and foodie says “Hakkasan is an eye-opener”. Hakkasan started off in 2001 in Hanway Place, London and now just eleven years later it has extended to the USA, India and the Middle East. All the restaurants maintain the same feel with wooden screens and latticing and a dimly lit elegant atmosphere. We have been to the London, Dubai and Abu Dhabi locations and we have enjoyed all of the meals finding the quality and the preparation of the food to be premium. Hakkasan specializes in cializes ciallyl to be als. and Abu Dhabi locations and we have enjoyed all of the meals. 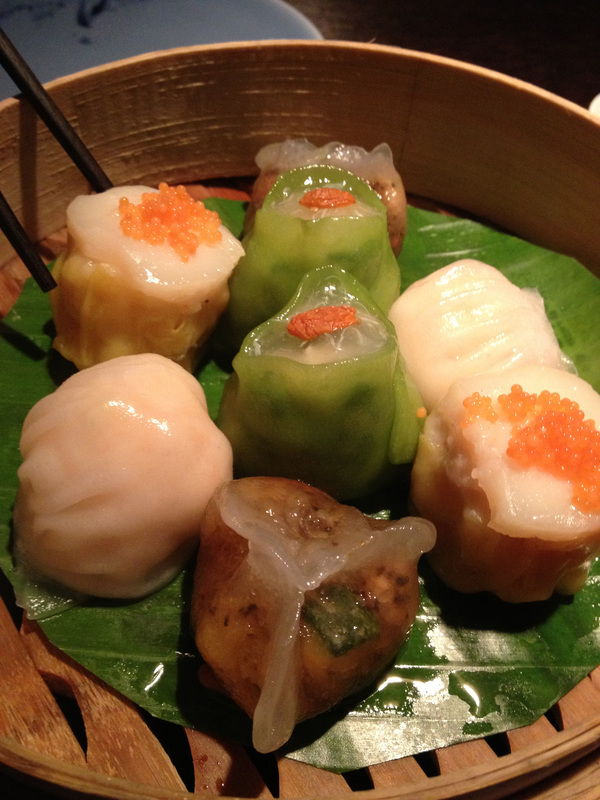 dim sums and if you are a dim sum lover, as I am, I guarantee that you are going to love Hakkasan. The last time we were in London, we had an all dim sum lunch which was to die for. The last time I dined at Hakkasan, I did so at the Abu Dhabi location. Although EAU is Islamic you can get alcohol at hotels so both in Dubai and Abu Dhabi there is a wine list but it is extremely pricey. The upside is that they have a very tasty cocktail selection at a more reasonable price.